With a mix of many different genres ranging from rap to R&B to pop rock, The Redland represent the versatility of many modern musicians who can’t be put into a box. Earvin Rodney and Robert Nkosi Evans, or Earv and Kose, met as students at Morehouse College, and eventually ended up leaving school early to pursue music as a hip-hop/R&B duo. They cite a variety of influences for their particular style of music, including Tupac, John Lennon, and Bob Dylan. While they hit success in 2011 with their single “So Far” in the video game NBA 2K11 and have released two EPs, An Enlightened Contagion is their first full album, released with the help of eOne. On “In the Rain,” the Redland get serious, talking about people’s reluctance to help others in tough situations, such as people affected by a hurricane or those in poverty. The lyrics call out people for “flipping the channel” and ignoring those who are different because of race or socioeconomic standing. The song’s chorus, “I’d love to see you in the rain,” asks what would happen if the situation was reversed. Just because they strive to make music with a deeper meaning doesn’t mean the Redland shy away from party music. “Love Thief” is a pop rock hit, with a music video full of partying and social media stalking of exes. 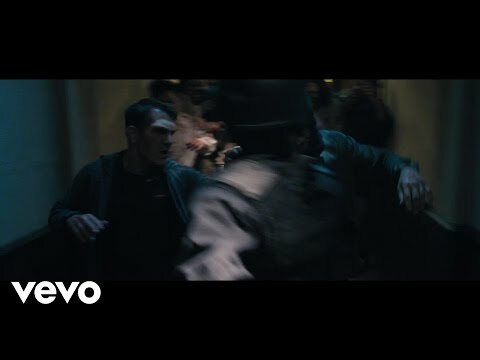 “No Sleep” is an electronic song with heavy beats and lyrics such as “Told her chill, she could have her fill / I could flip the bill / Her face looks like she’s from the states, her body like Brazil.” Aside from the remixes included on the deluxe version, it is the most EDM-oriented song on the album. Many of the tracks, such as “On Me” and “All the Same,” sound like classic R&B songs about love and the struggles of relationships. An exception is “Step Into My Room,” in which the beat drops dramatically after an a capella intro and amps the song up a notch. The lyrics address honesty and the lies people tell each other, and it has a much grittier feel in both the music and the tone of the vocals. 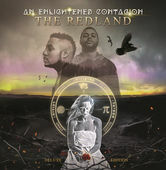 The Redland’s debut album An Enlightened Contagion shows there’s a new rap force in Atlanta to be reckoned with. Their versatility doesn’t detract from the development of an individualized sound, which is hard to define in words but easily detected in their songs. An Enlightened Contagion is a solid hip-hop album, and I expect the Redland will only get better from here.